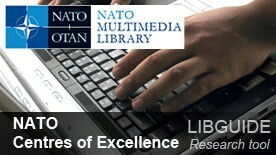 This LibGuide is intended to provide a few starting points to assist you with your research on issues related to NATO's Centres of Excellence (COE). Currently, there are 25 COEs with NATO accreditation. (Source : NATO Topic page on Centres of Excellence).